One of the promises I made to myself was to slowly separate from writing about the Jacksonville Jaguars. While I enjoyed the editors I wrote for and for the most part the other writers, the time and effort it took to stay up with team and league happenings was too much. Even watching game tape was becoming less enjoyable as my interests moved more towards this blog, learning about charitable organizations and the simple yet wonderful responsibility of being a father and husband. However when Wayne Weaver announced that he had fired head coach Jack Del Rio and then that he sold the team to businessman Shahid Khan I found myself very engrossed in the layers of story lines that would manifest themselves. Who would be the new coach? Would they hire from within? Would this help ticket sales for the remaining games? Would the new owner sell the team? Many, many more circled my head like swarming bees. Yet amidst the football related story lines was the backlash against the nationality of the new owner. While many applauded the new hope for a franchise slowly falling to the bottom of the NFL power rankings, others found it necessary to offer vitriolic opinions regarding Khan’s nationality. Khan was born in Pakistan and thanks to the efforts of many to associate anyone with an Islamic background as an enemy, this served as a perfect opportunity to express disgust over the move. 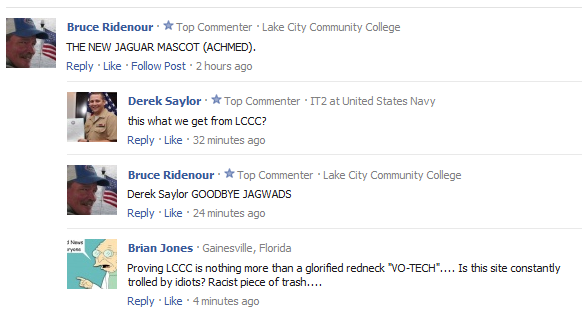 The image above is just a sampling of what was posted and it was not isolated to news4jax.com. While I could fill up this piece with a greater sampling of the hate, I simply could not come up with a good reason as to why. We watch the nightly news to get informed of the horrors both locally and nationally. Some of our most popular television shows and movies tell stories of atrocities perpetrated on fictional and at times historic figures. If you want to find the negativity it is out there. Instead it seemed more in keeping with this blog to introduce you to the man. Here is what Paul Kuharsky, AFC South blogger at Espn.com posted. “I am honored to have recently signed an agreement with Wayne Weaver and his partners to purchase the Jacksonville Jaguars. I have known Wayne for some time and have long admired his spirit, which nearly 20 years ago — against all odds — helped make the Jaguars and the National Football League a reality for Jacksonville and North Florida. Wayne’s legacy will be lasting, and I will always be grateful for Wayne’s trust and confidence in my commitment to the Jaguars, the NFL and the people of the Jacksonville community. “Owning a team in the National Football League has long been my personal and professional goal. Becoming the owner of the Jacksonville Jaguars would be a dream come true for me and my family but, above all, would be a privilege. To that end, I would like to thank Commissioner Roger Goodell and members of his team for their counsel and guidance throughout my efforts over the past several years. An article over at Jacksonville.com introduced the man via this piece. What you discover about Kahn through this article is that he seems to embody the mindset and work ethic the detractors might admire. While I cannot speak to the political leanings of all the anti-Kahn crowd, of those who posted that have public Facebook account I discovered their leanings were securely to the Right. To understand the irony here are a few highlights of this man’s life. Khan owns an Urbana, Ill.-based auto parts manufacturing company Flex-N-Gate Corp, a privately held company. According to the St. Louis Dispatch last year, Khan has contributed primarily to Republican candidates in national races. But he also contributed $100,000 to the Chicago camaign of Democrat Rahm Emanuel, who was the chief of staff for President Barack Obama. 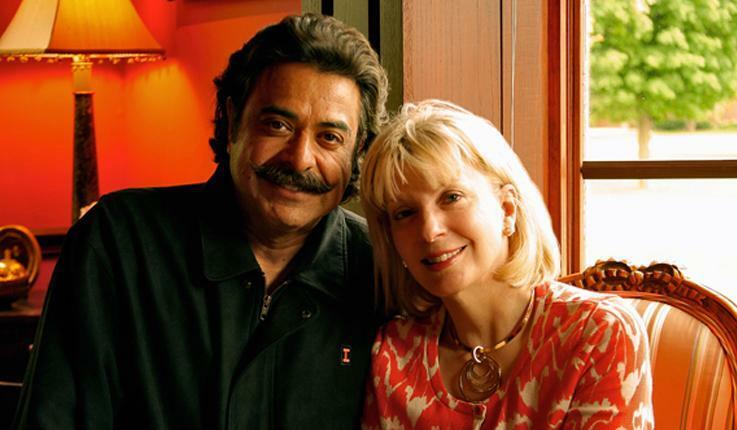 Like the Weavers, Khan and his wife, Ann Carlson Khan, are known in their community, Champagne-Urbana, as generous philanthropists. The Kahn’s have given money for the Krannert Center for the Performing Arts, the library, the college of business and funded five endowed professorships. The Khan name is on the outdoor tennis complex at the University. While Khan was born in Pakistan (he moved to America when he was 16) his story is that which exemplifies the American Dream. He took out a small business loan, started a business and now owns an NFL football team. He is but one of thirty-two individuals who can say that. If his name were Bill Smith, why would that make the story any more appealing? For me this is the second event within the last 72 hours where I was exposed to a level or racism that simply has not defined my world. The stories others have told and the “reality” others have tried to share with me stood as strangers in my house. While I do not know Khan personally and therefore will not share any of his social obstacles, being a fan of the Jaguars since 1997 and having written about them for the past five years affords me a level of proximity that might associate me with such sentiment. I have been bothered by the opinions of those who cry racism and yet events such as these give me pause for thought as to how much of that world is more fact than I want to believe. Khan may have questionable dealings in his past and he may have said things which shine a less than flattering light on who he is or how he runs a business. Yet this has nothing to do with his nationality. It also has nothing to do with his religion (which as of this writing I cannot accurately determine). I acknowledge the hatred exists but I have no desire to seek out and expose myself to it. Instead I will focus on the hope that comes with change, believing that the news of the day is an indication that my NFL team is moving back to its winning ways. I will also associate Pakistani born, U.S. Citizen Shahid Khan as an American and the first minority owner of a NFL franchise. love the post and perspective!!! time will sort out if this is good natured chatter about unimportant differences or significant bigotry. i believe most is the former. i more optimistic about the jags, now!!!!! how could you not give a chance to a guy who has a ‘stache like that. I think every guy in the stadium on monday night should sport one of those!!!!!!!!! !